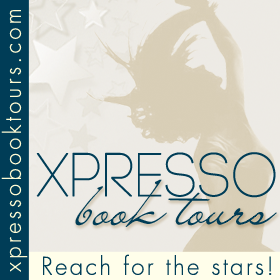 Welcome to my stop on the Vampire, the Hunter, and the Girl Blog Tour hosted by Xpresso Reads. 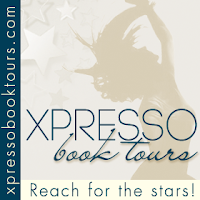 Click here to follow along with the tour schedule! Adam and Jesus (the vampire and the hunter) have an innate antagonism, which is only heightened once they discover they're competing for the affections of the same girl. Olivia (the girl) is an aspiring author struggling to write a vampire novel. What none of them yet know is there's a menacing force looming that will change the course of their lives forever. With the first installment of The Vampire and the Hunter Trilogy, Martin Lastrapes has created a vampire tale that is scary, funny, thrilling, and satisfying to the very last drop. 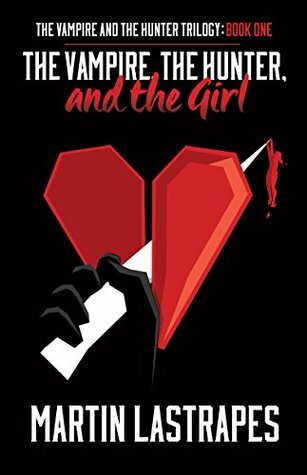 Initially, what really drew me to read The Vampire, the Hunter, and the Girl was Olivia's character as an aspiring author. Also using the names Adam and Jesus together made me think this novel would have something to say about religion, and I was interested to see if I was right. These three characters - Olivia, Adam, and Jesus - cross paths and are brought together seemingly by chance. Lastrapes takes you into their pasts where you find out what they were like and how they came to be where they're at today. They're realistic characters, written into a gritty realistic world. I really liked Olivia. She's the type of character I could see myself becoming friends with. I wasn't sure if I would like Adam, but I did. He's a super new vampire - he's only been one for thirty years, and as pointed out in the novel, that's a blink of the eye in terms of immortality. Jesus's character was striking, and he wasn't at all like I thought he would be. He's into wrestling, which I don't care about at all, but I was interested in his relationship with his mother and why he became a vampire hunter in the first place. The choice of Adam and Jesus still strike me as interesting names to choose for characters. As characters in The Vampire, the Hunter, and the Girl, they aren't all good or all bad. They're flawed, and there is no clear "winner" to me because I liked them both. I would have rated this novel 5 stars, but there were some choppy moments with a lot of flashbacks. Overall, The Vampire, the Hunter, and the Girl is a unique kind of love triangle that reminds me in some ways of one of my favorite TV show, Buffy the Vampire Slayer, where there's these interesting characters who have come together and the world isn't entirely safe. You have to be careful when you step out at night! This novel is definitely NOT Twilight, so no worries there. Pick up a copy and let Lastrapes bring you into the story of Olivia, Adam, and Jesus. MARTIN LASTRAPES won the GRAND PRIZE at the 2012 PARIS BOOK FESTIVAL for his debut novel INSIDE THE OUTSIDE. He grew up in the Inland Empire, has a Bachelor's Degree in English and a Master's Degree in Composition from Cal State San Bernardino, watches his favorite movies over and over again, learned many a lesson from professional wrestling, wonders if he'll ever be famous enough to be on Dancing with the Stars, thinks good stand-up comedy is rare and under appreciated, is scared of Vladimir Putin, wonders if it's too late to learn how to play the guitar, gets depressed when he hears the theme song from M*A*S*H, wonders why Teen Wolf never made it to the NBA, and wants Morgan Freeman to narrate his life. He is alos the host of THE MARTIN LASTRAPES SHOW PODCAST HOUR. Subscribe on iTunes or listen on the official website MartinLastrapesShow.com. New episodes every week.